Rich Snippets are around for quite some time now and it’s time to reveal the current status. What are Rich Snippets, how does it work and how can you integrate Rich Snippets into WordPress? The answers can be found in this blog post. Why do I need Rich Snippets on my WordPress blog? What markup formats do exist? What Rich Snippets are supported? How can I integrate Rich Snippets into WordPress? Where can I find more ready-to-go examples? 1. What are Rich Snippets? At first the keyword “Rich Snippets” was first introduced by Google in May 2009. The idea behind Rich Snippets is the following: As a webmaster you have an unique understanding of your web pages and the content they represent. But think about search engines: Very often they do not understand what’s going on. For crawlers your website is just a bunch of text (see the picture to your right). The crawlers have to filter a lot of HTML code (which is needed to render the page in your browser) to actually get the content out of it. You may understand that this is a real hard job for the guys who program search engines. That’s why “Microdata” was invented. Microdata is a synonym for particular HTML statements. It can be embedded into HTML to provide additional information to the search engine. So you just have to replace the word “Blog” with “WebPage” and that’s it. Pretty cool, right? 2. Why do I need Rich Snippets on my WordPress blog? What is the webpage title? What is the content’s title? When was the page published or updated? The fact is that this makes crawling much easier for search engines. They now can distinguish what is considered as important on your website when a search is performed. They also know what’s the content or what is just side information. I guess that microdata will be one of the most important SEO (search engine optimization) things in the near future. 2.2. Higher rankings with microdata? The greatest example for this is what Glen had found out in his blogpost “The Great Google Sh*tstorm of Our Time“. According to him it’s possible to get higher rankings just because a page or a blogpost gets re-published from time to time so that Google thinks it was updated (and therefore must be a good content). Want to check that out? 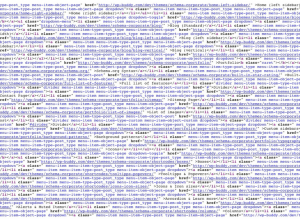 My theme on this blog (the Schema.org WordPress Theme) is using microdata extensively. So just hit the button below and check out what Google’s Rich Snippet Testing Tool has to say. When you scroll down, you will see something like in the picture to the right. Adding microdata that will be transformed to a rich snippet helps to appear differently in Search Engine Result Pages thereby increasing the CTR (Click through rate). Google helps users find your page by showing them a small sample of that content – the so called “snippet”. I think it’s obvious that “beautiful” styled search results are more attractive to users then others. So here is another example of a recipe snippet. Isn’t it better to see an image of the “outcome” of the recipe (here: the donuts) before you click onto the search result? Sure it is! 3. What markup formats do exist? Google recommends using microdata, but any of the three formats below are acceptable. So what are the differences? Microformats are using CSS classes that could also be used to style particular HTML elements. This is also the method WordPress tags dates of posts and comments. 4. What Rich Snippets are supported? 5. How can I integrate Rich Snippets into WordPress? 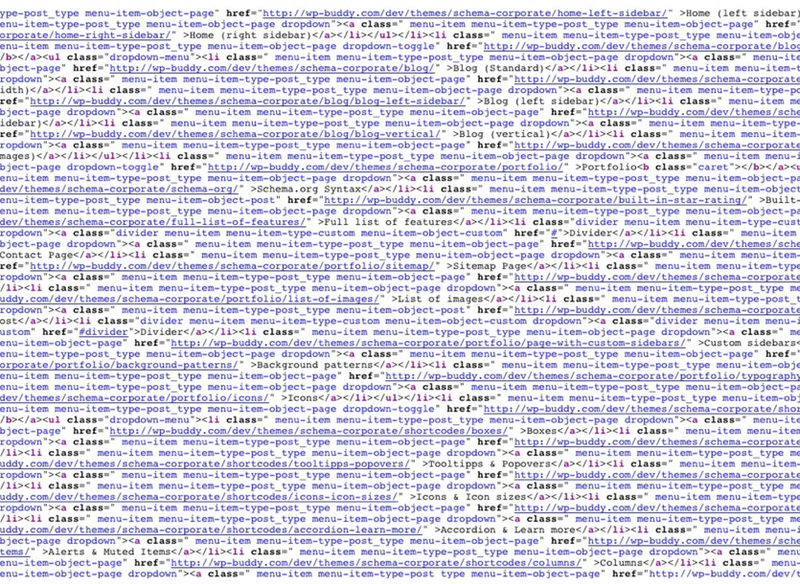 Of course you can handle everything yourself by touching the code WordPress is generating when you write a blog post. By switching to the Text-Mode you’re able to edit the HTML code directly. Make sure to use the microdata (schema.org) OR microformats (CSS classes) markup as RDFa gets removed automatically by WordPress when switching to Visual Mode and back. This is what I did with my Schema.org WordPress Theme as well as with the One Page Profile Theme. The best thing about that is that you do not need any coding skills. Everything is done automatically. You can check this page with Google’s Rich Snippet Testing Tool to check what’s possible. Just scroll down and read. You will be blown away how awesome this is. WordPress has an awesome feature called “Shortcodes”. When a plugin sets up a shortcode it’s possible to integrate a special element anywhere in your blogpost or even in text widgets on the sidebars. To set up a shortcode on your own you can either code a simple plugin that uses the add_shortcode() PHP function or you use a plugin like the Rich Snippets WordPress Plugin. It has something like a built-in shortcode-generator which makes it easy for you to set up your own shortcodes. It also comes with some pre-installed schema.org syntax examples that ready-to-use. 6. Where can I find more examples? Thnaks for this great guide. Helped!